In recent years, Forster Co-Ax® presses have been somewhat hard to find, as demand has out-stripped supply. However, right now Grafs.com has Co-Ax presses in stock, at just $299.99 — that’s six percent off the regular price. This sale price includes a set of jaws, and includes ground shipping (in the lower 48), after a single $7.95 (per order) handling fee. 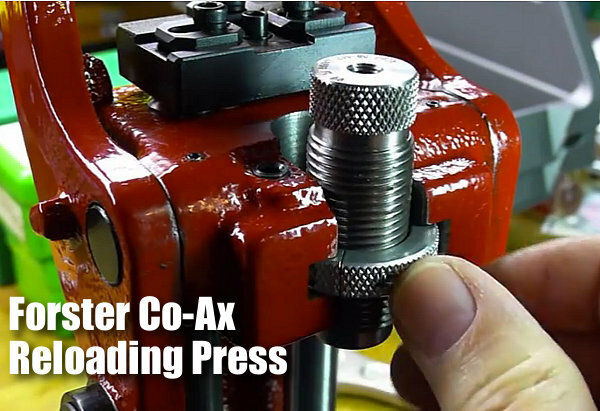 If you’ve been hankering for a Co-Ax press, now is definitely a good time to buy. If you are not yet familiar with the many unique features of the Forster Co-Ax, we recommend you watch the video embedded below. This shows how the press operates and highlights the design elements which set the Co-Ax apart from every other reloading press on the market. This is a very thorough review of the Forster Co-Ax done by Rex Roach. 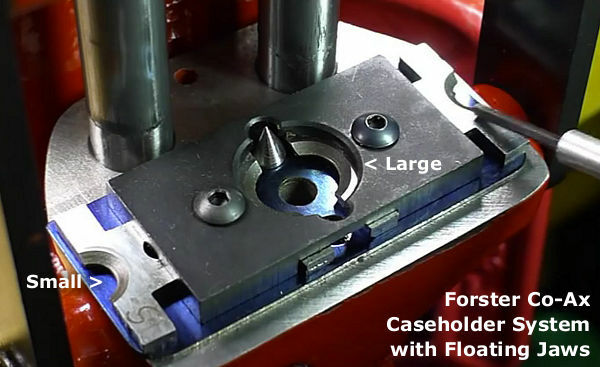 This 14-minute video shows the key Co-Ax features, explaining how the floating case-holder jaws work (3:30 time-mark), how the dies are held in place (4:40 time-mark), how spent primers are captured (6:10 time-mark), and how to set the primer seating depth (10:00 time-mark). We’ve used a Co-Ax for years and we still learned a few new things by watching this detailed video. If you are considering purchasing a Co-Ax, definitely watch this video start to finish. The Co-Ax case-holder features spring-loaded, floating jaws. These jaws have two sets of openings, small and large. This allows the system to adapt to various rim diameters. The jaw plates can simply be reversed to switch from small jaw to large jaw. In the photo above, the Co-Ax is configured with the large jaw openings in the center. Photos are screen shots from Forster Co-Ax Review by Rex Roach on YouTube. Share the post "Forster Co-Ax Press — Unique Operation Showcased in Video"